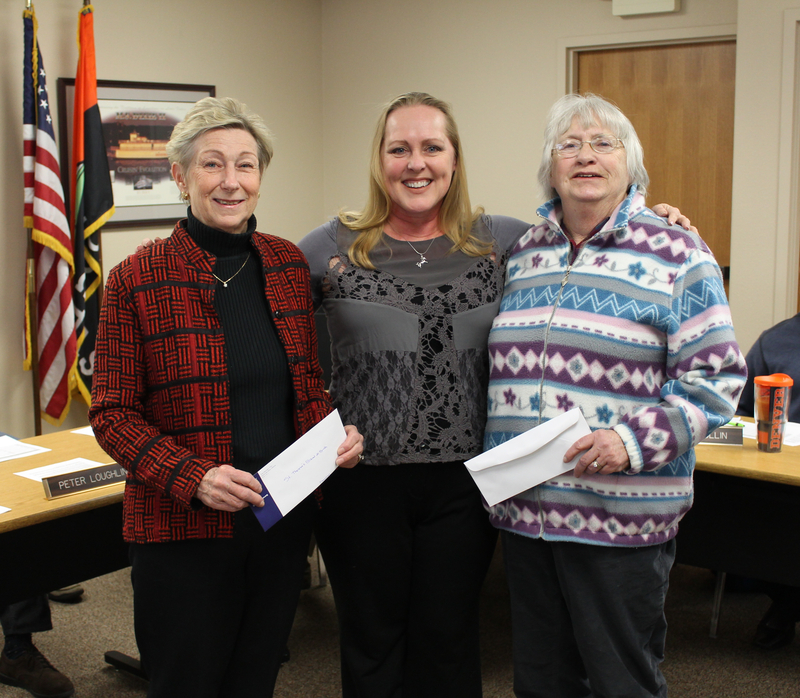 South Tahoe, CA/NV…The TahoeChamber Board of Directors Chair Tamara Hollingsworth (center) presents two checks to Carol Gerard (L) of Bread and Broth and Wilma Thomas (R) of Christmas Cheer All Year. TahoeChamber raised a total of $3,500 for the charities during the Annual BAHM! for Charity at Riva Grill in January.